This beautiful aqueduct was constructed over 2,000 years ago by the Romans in southern France. It was built to carry spring water from the town of Uzes to the regional capital of Nimes. While most of it consists of an undergrond tunnel the most spectacular is the three-tiered arched stone structure at Pont Du Gard. It spans the Gardon River and is considered one of the most significant historical structures in France. 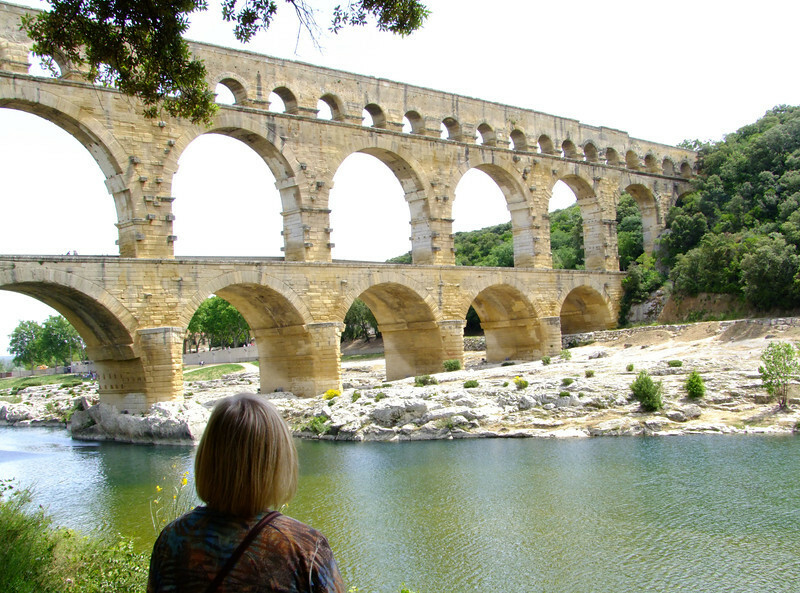 Jan's view of the beautiful Pont Du Gard aquaduct. The top section contained the channel that carried about 6,000 gallons per minute a distance of about 45 miles - from Uzes to Nimes.